First Listen: LeVelle says don't "Go To Bed Mad"
(July 9, 2018) He may be a native of Kansas City, but LeVelle's earnest and gospel-flecked vocals has earned him a loyal legion of fans all around the US, and a resume that's jam-packed from collaborating with some of R&B's most famous performers, including Tank, Anthony Hamilton and Uncle Charlie Wilson. 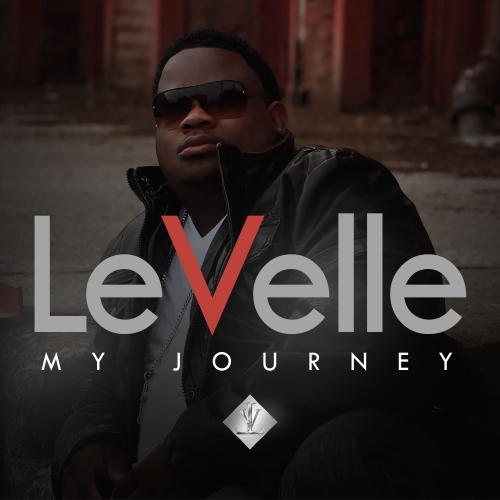 Although the aforementioned stars were, and are, major influences for Le Velle, on this sultry mid-tempo single from his debut, Levelle: My Journey, Mr. B is determined to establish an imprint all his own. Considering his project to be a love letter to the special women in his life, "Go To Bed Mad" is a relatable slice of the real, since all couples who share time together will eventually catch an attitude, drop 'f-bombs' and clock zzzs on the living room couch. LeVelle may understand that truth, but that still doesn't mean he wants to stay on the warpath or break his promise to keep the bedroom conflict-free: "Sometimes I Pick a fight with you so that we can make up, This Time is a little different/ I'm doing what I got to do to fix it." Let's face it: the temperatures are rising, life is stressful and political angst is at an all-time high. The next time you talk slick or fly off the handle about any of the above, you'll need this song for back-up to plead your case and get back on the good foot. With a voice like LeVelle's, you're practically guaranteed a pardon for life. LeVelle - "Go To Bed Mad"